This traditionally styled dresser features two hidden drawers and seven regular drawers, providing plenty of space to store both bulky and light clothing items. 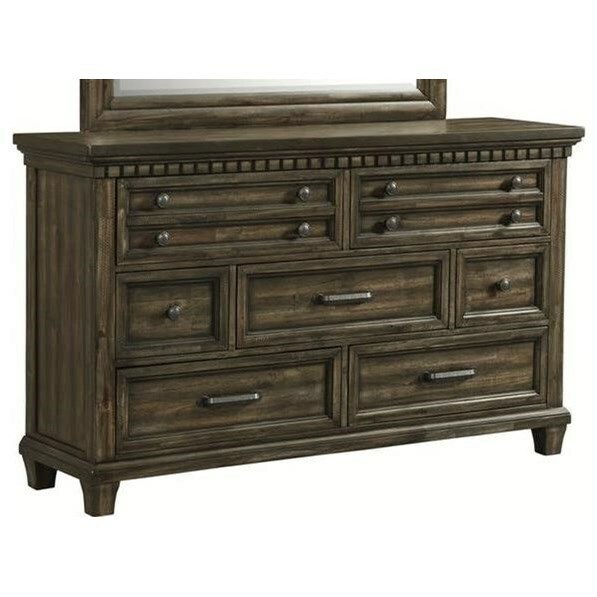 Square tapered legs, dentil molding, and silver hued knob pulls and handles bring sophistication to the piece. Pair with the matching mirror for a complete set. The McCabe Traditional Dresser with Hidden Drawers by Elements International at Zak's Home in the Tri-Cities, Johnson City, Tennessee area. Product availability may vary. Contact us for the most current availability on this product. The McCabe collection is a great option if you are looking for Traditional furniture in the Tri-Cities, Johnson City, Tennessee area. Browse other items in the McCabe collection from Zak's Home in the Tri-Cities, Johnson City, Tennessee area.